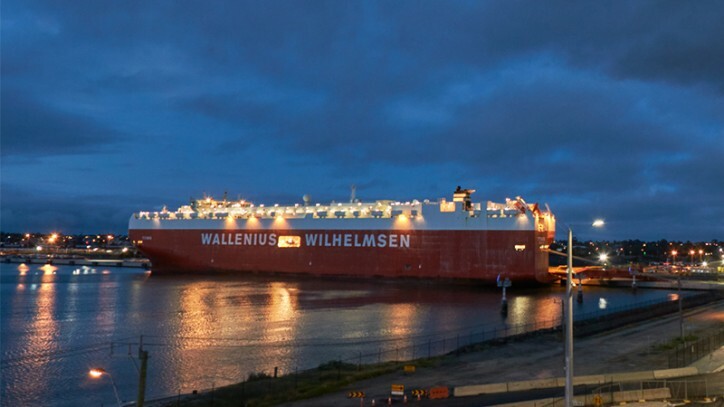 Wallenius Wilhelmsen Ocean (WW Ocean) is adding Adelaide to its Europe via North America to Australia service. On Europe via North America to Australia service, WW Ocean already call into Brisbane, Fremantle, Melbourne and Port Kembla three times per month and the new port call into Adelaide will be once a month. Extending port coverage in Australia supports the agriculture and mining sectors, which are experiencing growth. South Australia has large natural gas fields in the north, along with a number of mines. With vessels calling into Adelaide, customers can position necessary equipment faster and with lower costs than inland haulage from other Australian States. Also, as Australia moves away from domestic auto production towards imports, there is an increased need for Australian port coverage among vehicle manufacturers. Adelaide is a good entry point for rail haulage heading to inland Australia and the Northern Territory. The increased port coverage supports this change in vehicle sourcing. Inland trucking rates are increasing between Australian states. This, along with the end of local vehicle production, makes coastal shipping in Australia a cost-saving opportunity for automotive importers. Salome will be the first vessel calling into Adelaide in July.